1. Make communication a priority. Take classes, read books, magazine articles or learn from successful communicators around you. Seek a mentor or coach. 2. Simplify and stay on message. Use simple, straightforward language. Remember that Lincoln’s Gettysburg Address was 286 words, about two minutes long. 3. Engage your listeners or readers. Draw your listeners and readers into the conversation. Ask questions and invite opinions. Solicit their feedback. 4. Take time to respond. After you’ve listened (and understood) take time to “draft” in your head what you want to say. 5. Make sure you are understood. Don’t blame the other person for not understanding. Instead, look for ways to clarify or rephrase what you are trying to say so it can be understood. 6. Develop your listening skills, too. The best communicators are almost always the best listeners. Listen without judgment and don’t be distracted by thinking about what you want to say next. Then, respond, not react. 7. Body language is important. 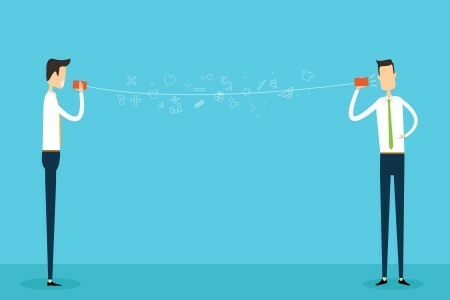 Studies show that 65% of all communication is non-verbal. Watch for visual signs that your listener understands, agrees or disagrees with your message. And be aware that your body is sending signals, too. 8. Maintain eye contact. Whether speaking to a crowd or one-on-one, maintaining eye contact builds credibility and demonstrates you care about your listeners. 9. Respect your audience. Recognize your message is not just about you or what you want. You should sincerely care about the needs and the unique perspectives of those to whom you are communicating. One of the best ways to show your respect is simply by paying attention to what they say.